There seems to be a theme of videos on YouTube lately where old diary entries are read from the persons past self. Not only are some of these hilarious but also a nice reminder of where they were on what day and what they did. I used to keep diaries but threw them all away when I moved, mostly because they weren't filled with the greatest memories and I also felt I didn't have the space for them. So, I'm starting again at 20. One of my biggest fears about when I'm old and a shriveled up wrinkly old woman is that I'll forget things. Not tedious things like where I left the car keys or what day the bins go out, the things that matter. Memories, people's birthdays and faces. Have I watched The Notebook too much recently? I used to look after my great uncle alongside my mum as he couldn't look after himself anymore. I was always close to him, I used to run into his flat when I was little and scream 'Uncle Blobby!' at him and find myself hilarious as he always made sure to have giggle with me too. (His name was Robert, Bob for short) This is something that continued up until he passed away. He started to forget who I was, he often mistook me for my sisters or my aunts and sometimes even his carer at his home but the one thing he did remember was the fact he was my uncle Blobby. He always made sure I knew it too with a frequent "Who am I again?" "Uncle Blobby." So today I bought myself a brand new journal to write down anything that comes to mind. What I did that day, how I'm feeling, who's upset me and the people I love. Yes, I have this blog, my videos and photos to remember things by but for me I like to read things and rediscover my past self and how terrible my handwriting is. I don't know how long I'll keep it up, I hope for a while so I can maybe look back next year and see where I was a year ago that day. 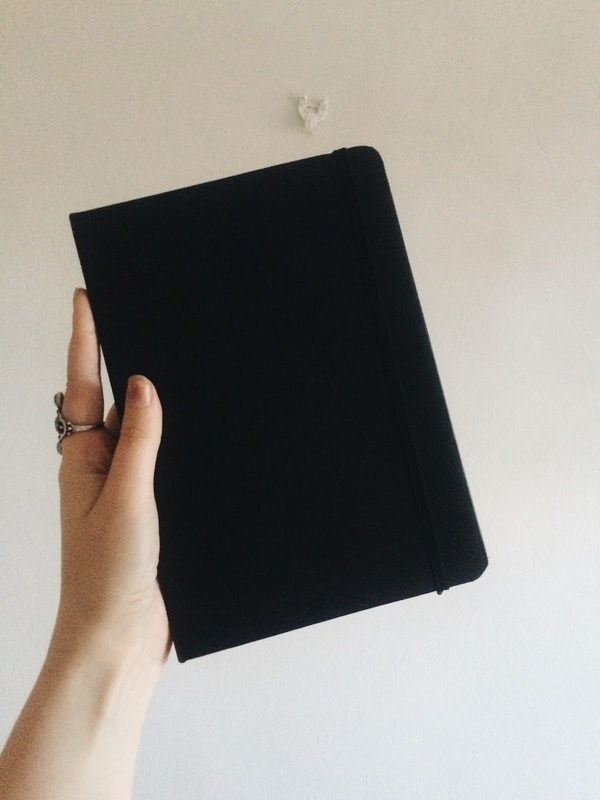 Do any of you keep journals? If not, you should! Ah, what a lovely post! I tried keeping journals when I was a teenager, but scrapped them all. Probably for the best! I started again around 2010 and kept them faithfully until 2013, when my Dad passed away and I didn't feel like writing. I've just resumed keeping a journal and I have to say, I've missed it a lot. Keeping a journal is a great way of remembering things you've done, of organising souvenirs and of sorting through your thoughts and feelings. Good luck with your new journal and I hope you enjoy keeping one! Don't forget to read back every so often, it'll put a smile on your face when you're reminded of something you forgot. Such a lovely idea.I too keep a journal, and find it extremely hard to keep up with it but I've just set a reminder on my phone to write in it every day!